Cardinal Blase Cupich is credited with playing an instrumental role when state lawmakers approved the first ever scholarship tax credit program for private school students. At the same time, he's leading the Chicago Archdiocese as it undertakes major changes in its own parishes and schools. 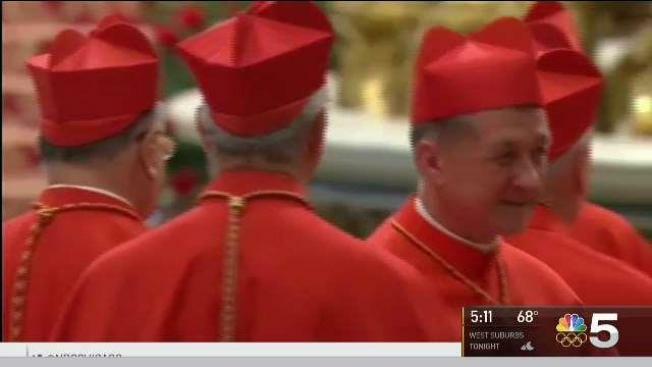 The cardinal addressed that and more with NBC 5 Thursday. Cupich was not in Springfield in person but he certainly was active behind the scenes as lawmakers approved scholarship tax credits -- the first of its kind in Illinois for private school families. Cupich also reacted to the Trump administration's plans to end the DACA program. Published reports Thursday say former White House adviser Steve Bannon say Catholic bishops support DACA because they need illegal aliens to fill the churches. Cupich notes statistics show 36 percent of millennials claim no affiliation with organized religion and of those who are catholic only 17 percent attend mass every week. Cupich is reminding his priests to focus on staying relevant to young adults.